Arrive in style and elegance in this beautiful white Rolls Royce wedding car. Arriving in this ribboned wedding car will make you feel very special and make your wedding day even more memorable. 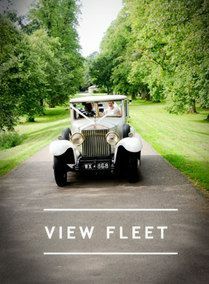 We know how fast the day flies by and how important it is that our couples get to relax and enjoy a Vintage Wedding Car hire service that is 'Second to none' at competitive prices. Many years experience in providing a Vintage Rolls Royce Wedding Car Hire service throughout Warwickshire and ideal for Warwick, Leamington Spa, Stratford-on-Avon, Rugby, Daventry and Banbury Weddings.